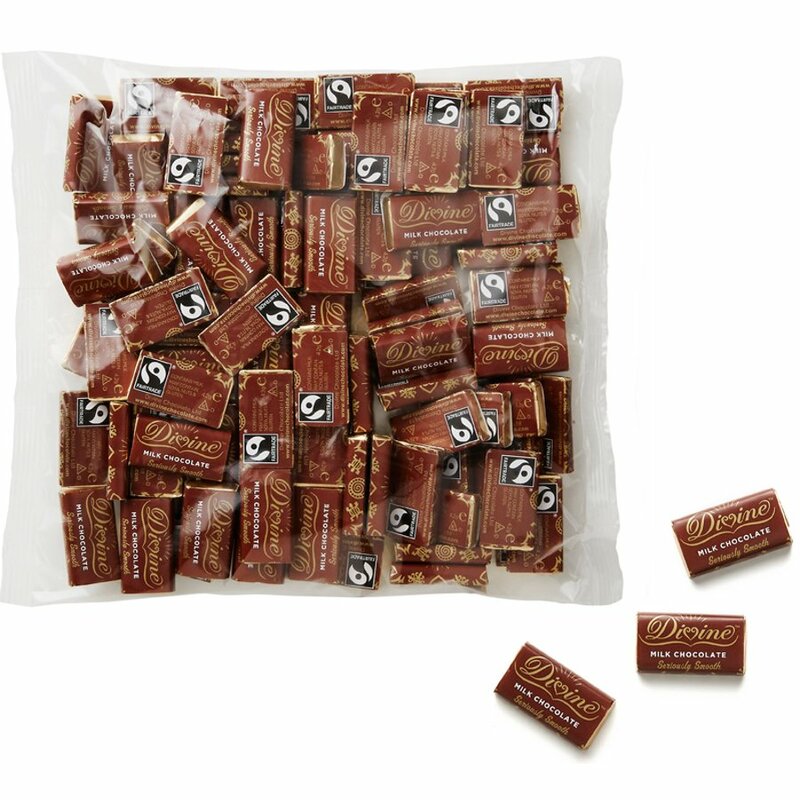 Bite size treats of Divine's smooth, heavenly milk chocolate, perfect as fair trade wedding favours, presents, gifts, party bags or just as a mini snack. Simply irresistible, these miniature bars of Divine Chocolate weigh 4.2g each and are made with all natural Fairtrade cocoa butter and vanilla, wrapped in the recognisable Divine packaging and gold foil. 100 Divine miniature bars per bag. 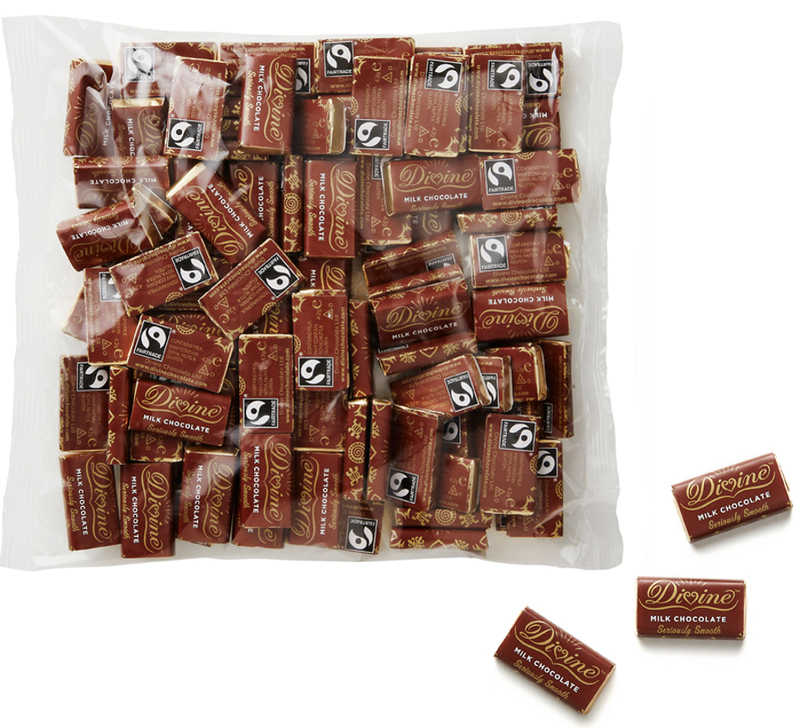 The Divine Milk Chocolate Minis - Pack of 100 Mini Bars product ethics are indicated below. To learn more about these product ethics and to see related products, follow the links below. *** Nice chocolate but a high price due to production size. Q: Could you let me know the measurement of the chocolates as I want to put them in wooden advent calendar drawers. I need 3 packs.